All facials begin with a thorough skin analysis to ensure that your treatment is personalized for your skin type. Our professionals will explain the most effective way for you to care for your skin and design an easy, effective home care program. A diagnosis is made before the treatment, allowing individualized care and product selection. This facial stimulates precise areas, in turn reducing signs of aging. After the treatment, your skin will appear more toned and firm, revealing a more youthful and hydrated appearance. This relaxing treatment includes steam, cleanse, exfoliation, and extractions. Our Esthetician will begin by providing a thorough skin analysis, and then finish with a relaxing massage, mask and moisturizer appropriate for your skin type. This treatment is perfect for treating oily, acne prone skin. This facial combats all grades of acne by combining powerful anti-bacterial peptides, and salicylic acid with soothing anti-inflammatory botanicals. This amazing treatment diminishes dark spots using the latest innovations in lighting agents, and powerful exfoliates to create a glowing tone on all skin types. Keep your back smooth and radiant all year long. This treatment utilizes soothing steam, while gently cleansing and exfoliating the skin. Light extractions are performed to lift impurities, and finishes with skin soothing mask. When time is of the essence, this facial will revitalize the skin leaving it radiant, healthy and toned. This is an express treatment concentrating on eliminating impurities, with all the benefits of a European Facial excluding the massage. 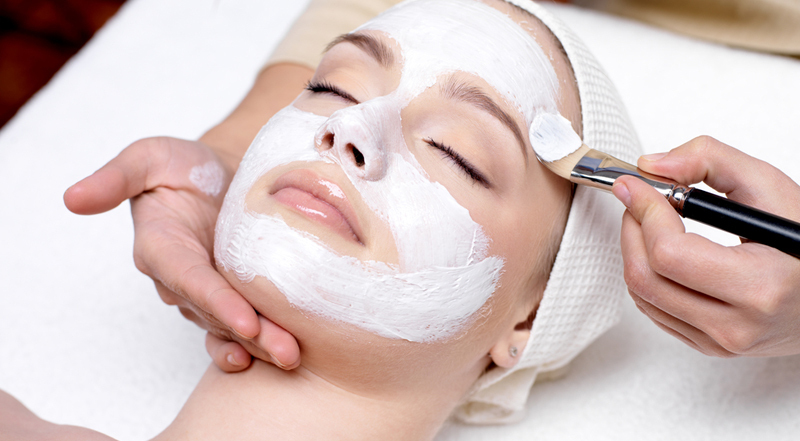 This facial makes for the perfect treatment on your lunch break!